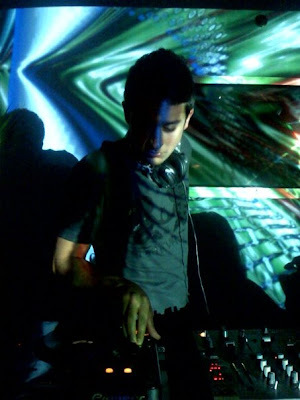 Tamer Malki, the Boston-based DJ and producer, has established himself as a major player in the Boston house scene creating and developing his sound to become his own distinguished brand. His fusion of deep, groovy, vocal tech house, laced with influences of jazz, funk, and classics stems from his personal musical background and passion for many different genres. Tamer’s medley of mixes reflects his passion and drive to create; a passion not only evident in his music, but in his accomplishments as well. Resident DJ at Rumor in Boston, Tamer also headlines in other top venues such as Rise, Underbar, Venu and The Foundation Lounge. With that type of demand in one city, it’s surprising Tamer still finds time to perform with some of the world’s greatest DJ’s such as Deep Dish, David Guetta, Cedric Gervais, and Chus & Ceballos. Tamer splits his time between his studio in Boston, traveling around the East Coast, and headlining in major events like the Winter Music Conference in Miami every year. While touring the world, he can be found performing for elite clubs and private parties for the film, fashion, and music industry. He also entertains the occasional day job and hosts a weekly radio show to kick start the weekend titled "Club Play", airing on Play 99.6 FM, a premiere Middle Eastern station based in Jordan. His official site/blog, where he often release new productions, has been an extreme success for years, and his new biweekly Podcast on iTunes has collected over 1,500 subscribers in less than one month. His most recent production “Higher” was signed to Digital Lovers Records (Milan) and will be available on Beatport Exclusive May 21st in time to kick off the summer, several more original tracks and remixes will follow later in 09. Some of the best events I have ever took part of was most probably in the Caribbean during my December visit to Port Au Prince. I had no idea what to expect, but it was totally insane. I performed in three shows and in all of them were sold out, the crowd had tremendous levels of energy, and everyone partied till sunrise. Food was great, weather was amazing, and I fell in love with their beaches. It was a totally different experience. These days it's so hard to keep up with the overwhelming amount of records coming out every day from different areas in the world, some are great, some shouldn't have seen the light of day, but since I started getting deeper and deeper into music, Dennis Ferrer, Laurent Garnier, Gotan Project, Sasha and Erick Morrillo where always the super heroes that took the top spots on my list. Favorite venues in the world? Space Terrace Miami, The End London, Sky Bar Beirut.. Always a great time, each one is in a different continent and each has its own unique vibe that is just unforgettable. Favorite tracks of all time?